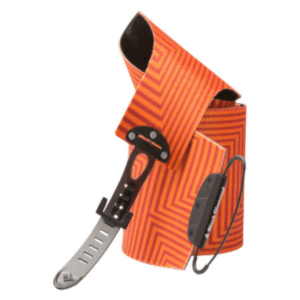 Sporten Free Walk Backcountry Gliding Skiboards Skins allow you to smoothly glide through the backcountry. Have a relaxing quiet day in the woods, exploring and getting away from it all. 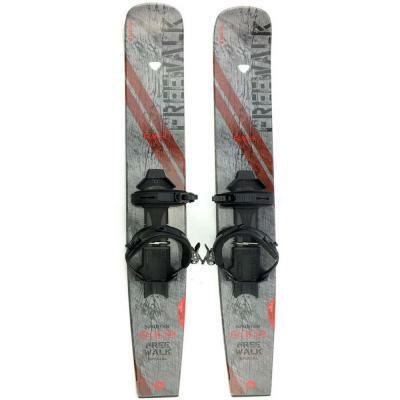 These FreeWalk Skiboards provide excellent floatation in the snow, even better than snowshoes. Imagine the floatation of snowshoes without having to pick your feet off the ground each step. Intended for adults. 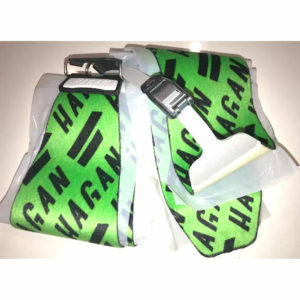 Built in, permanent custom skins allow forward glide, while stopping backward sliding on hills. 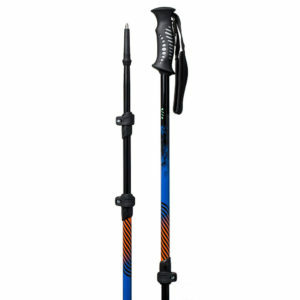 These come with pre-mounted Outlander Padded Snow boot Bindings for multi-size fit. Rachet quick adjust buckles. Not intended for downhill resort riding. Wood core, cap construction with pre-mounted bindings. Manufactured in Czech Republic by Sporten, a 100 year old ski manufacturer. Snowshoes are easy to use and have great traction, but they’re slow. Cross-country skis are quick, but are less stable and require special footwear and technique. Sporten Free Walk Backcountry Gliding Skiboards w. Skins combine fat skiboards with snowshoe bindings. You can kick and glide across gentle terrain much faster than you could walk, and since 80% of the base is covered with climbing skins, you can still head up moderate slopes without sliding backwards. The ability to go skiboarding while wearing your hiking or winter boots saves money and makes it easier to get out and start moving. They aren’t as fast as real cross-country skis, and don’t have the crampons of snowshoes, but the Sporten Free Walk are ideal for day-touring through the rolling snow covered forests, and breaking trail on the unplowed side streets. The two-strap bindings make for quick and easy on and offs, so you can pop them off and walk down anything that makes you uncomfortable. Bindings adjust to accommodate most any winter boot in the men’s 7 to 13 range (women’s 8-15). Bottom line: These sliding skiboards are easy to use and a ton of fun on laid-back rolling terrain. For neighborhood outings or cruising along snowy trails, these are a great way to get outside this winter and sooo much easier than snowshoes.